If there is a swimming or spa pool on your property (no matter if you own or rent) it’s your responsibility to make sure it’s safe and that no child can come to harm by accessing your pool without supervision. The Government has recently changed the law to increase pool safety legislation, and now Councils will undertake pool inspections every 3 years. 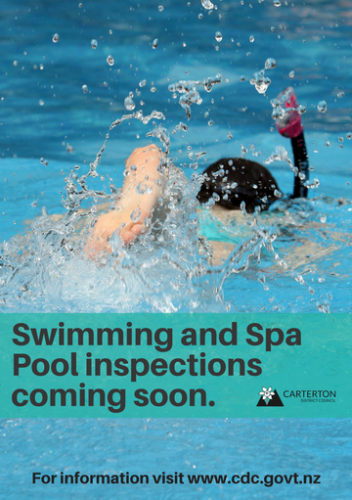 Carterton District Council will be commencing its pool inspections soon. The pool inspector will be clearly identifiable, bearing the Council logo on their shirt and high viz vest; they will also produce an identification card. The inspector will knock at your door and ask to see the pool, if you’re not home they will undertake the inspection and notify you once completed. 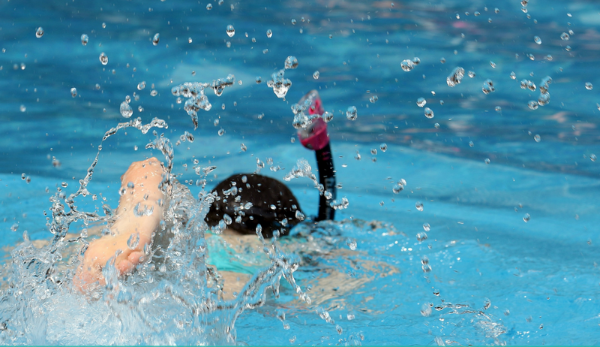 All residential swimming pools must have a barrier that restricts access to children under five years. This also includes pop-up pools (permanent or temporary) with a depth of 400mm or more. Read our guide to fencing your spa or swimming pool here. What Are the Pool Barrier Legal Requirements? Barriers must restrict access to unattended access to children under five years. Must have no permanent projections that could assist climbing. Gates should be self-closing and open away from the pool area. Doors must emit an audible warning when not self-closing. The latch must not be readily accessible by children under five years. A safety cover may be used as a barrier to small heated pools less than 5m2. It must meet the standards in the building code.